Q- E, why do I get bitten by moquitoes but my partner doesn’t? 2-Sudan is full of them and has both the species that carry malaria in abundance and they like to bite me, lots, whenever I go home ggggrrrrhhh! Side note/Trivia: Did you know that mosques (Islamic house of prayer) are called mosques in England instead of Masjid (which is the correct word) because when the English landed in countries which contained Masjid’s and they heard the call to prayer, the soldiers described the sound as the buzzing of mosquitoes, hence the term mosque instead of Masjid. Anyhoo, back to the topic at hand, due to the above reasons, I am still a member of a number of web journals all about mozzys’ and malaria and it just so happens that only yesterday I read this paper. Click here if you feel up-to the hard-core science (I hope some of you do 🙂 otherwise play this live ensemble by Seun Kuti feat Manu Dibango whilst I try and break it down. So I looked it up and it turns out he was kinda right. Firstly, I thought a mozzy was just looking for blood, so what does it matter who’s blood it has for dinner, right? I was wrong. 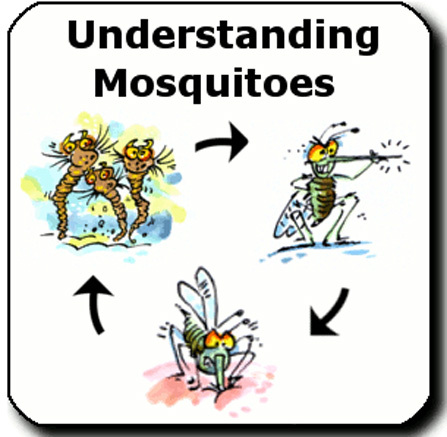 Actually, the mosquito that carries malaria aka Anopheles gambiae, tracks its victims with an acute sense of smell. Now when I say acute, I really mean it, as the smells they are attracted to come from the billions of tiny bacteria that live on our skin. Skin bacteria gives us all our own “scent” if you will, and we need them as they help convert chemicals on our skin into those that can easily rise into the air. So here is the answer to your question. We all have different types of bacteria on our skin or different concentrations of a particular type. Therefore, our scent will be different, your scent must be far more attractive than your partners. Recently, Neils Verhulst et al (2011) discovered that the bacteria on our skin does affect the odds of being bitten by a malarial mosquito and they have even managed to identify which of the different types of skin bacteria are more attractive.This has exciting implications for malaria research. 1-We know from past experiments that human sweat becomes more enticing to A.gambiae, therefore a shower before sundown might help. The SideNote/Trivia on the etymology of “mosque” is crazy!